The causes of current tensions triggered by migration will strengthen, raising the question of whether “we want to take control of these trends or simply suffer from them”, Prime Minister Viktor Orbán said at the first European Union – Arab League summit in Egypt on Monday. Experience shows the need of mutual respect for the cultural, religious and political traditions of various nations, Orbán told the summit in Sharm El Sheikh, adding that the power of demographics should never been underestimated. He said the demographic trends pointing to more intensive migration would likely strengthen, with the population of the Arab world to increase by 30 percent from 2015 to 2030, and that of Europe to decrease simultaneously. 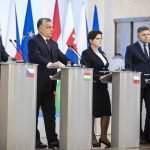 Orbán said that human smugglers, terrorist organisations, illegitimate power groups, NGOs, financial speculators and the media were exercising strong influence on migration policies and through them on European-Arab relations. “We would like to see legitimate political leaders jointly set the direction of future events, which makes our today’s declaration extremely important,” Orbán said. Hungarian policies are based on the principle that help must be taken to where the trouble is instead of spreading the trouble, Orbán said. As a nation of ten million people, Hungary is clearly aware of the extent of its influence and pursues its foreign policy accordingly, he said. 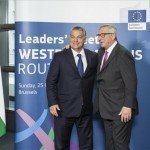 “We support the European Union to take a stronger role in handling regional crises and assisting crisis-hit countries,” Orbán added. 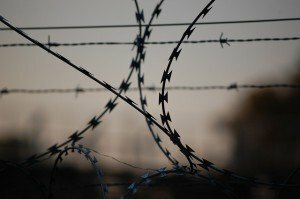 Hungary would like to see aid granted to those that are capable of creating stability instead of allocating it on an ideological basis, he said. 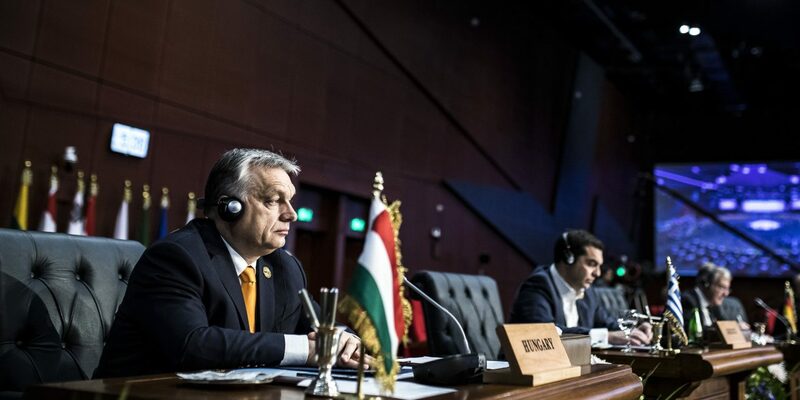 Orbán noted that Hungary was participating in international missions in Lebanon, Iraq, Libya and the Sahel zone, and the Visegrad Four countries are providing joint financial support for Libya’s border protection efforts. 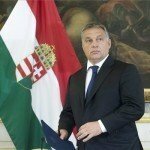 Hungary is also involved in a joint V4-Germany project to help Morocco, he added. Hungary grants 1,400 scholarships a year to young people from Arab League countries, with 2,300 such students currently pursuing their studies in Hungary, Orban said. 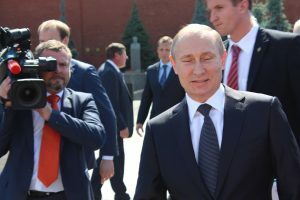 “We hope they will return home to help their country,” he added. Orbán expressed thanks to Arab leaders who provide protection to Christian communities suffering from persecution in their respective countries and regions and asked them to continue their efforts. 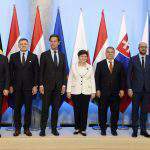 The summit is attended by 24 European heads of state and government, President of the European Commission Jean-Claude Juncker and President of the European Council Donald Tusk.